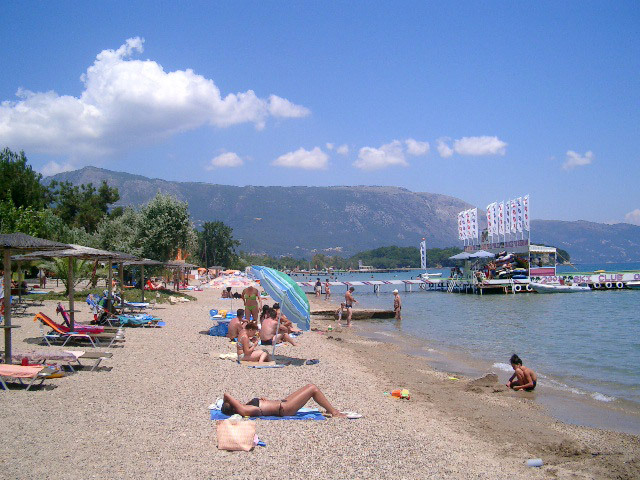 Beaches are ordered from the Southern to the Northern ones of Corfu island. 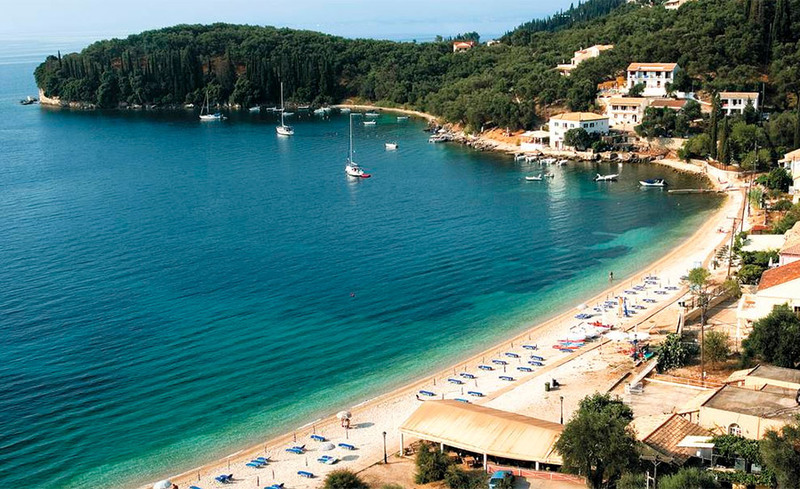 The beach is small but well equipped and Gouvia is one of the most developed village on Corfu island. From the beach there is a nice view over the bay and Ipapandi church. Moreover in Gouvia there’s a very well organised port called "Gouvia Marina" that is next to some old Venetian ruins. 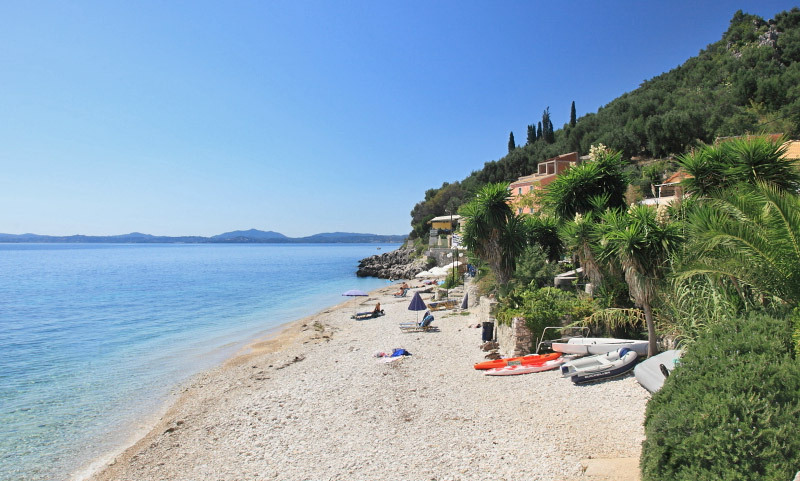 Dasia beach is developed along the village, therefore it’s long and narrow. 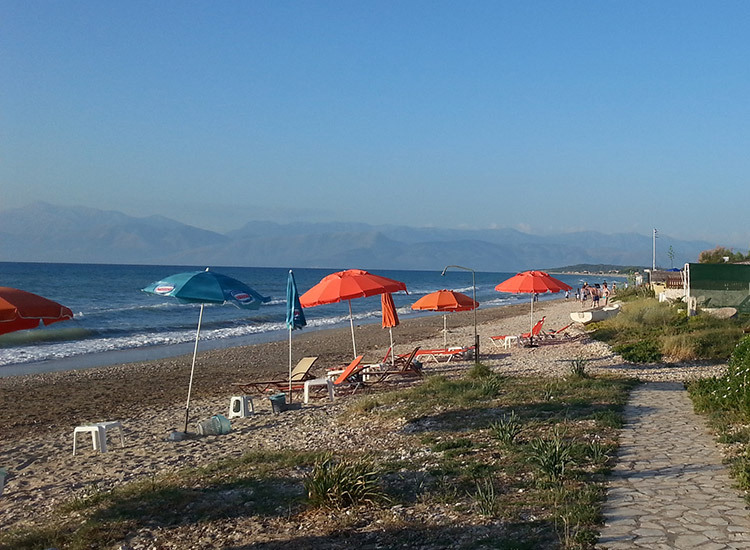 In this part of the coast the sea is calm and from the bay you have a stunning view over Albanian mountains and coastline. 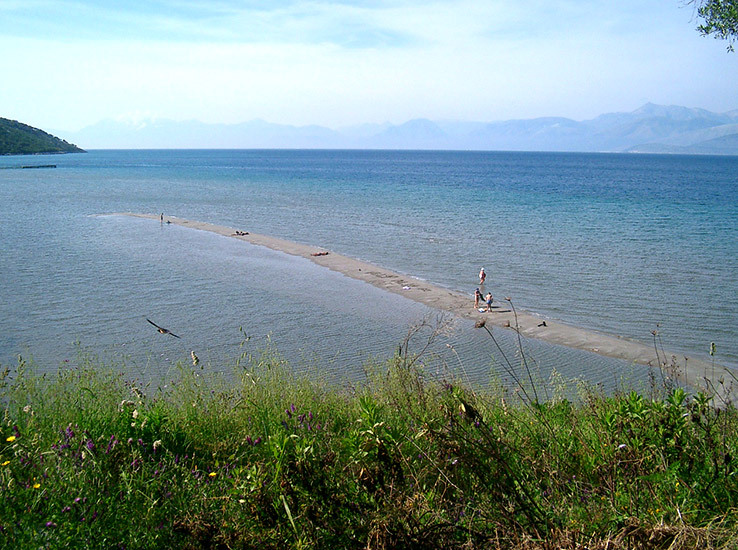 Moreover in the sea has been constructed a platform from which dive and which is the point of departure to make water sports. 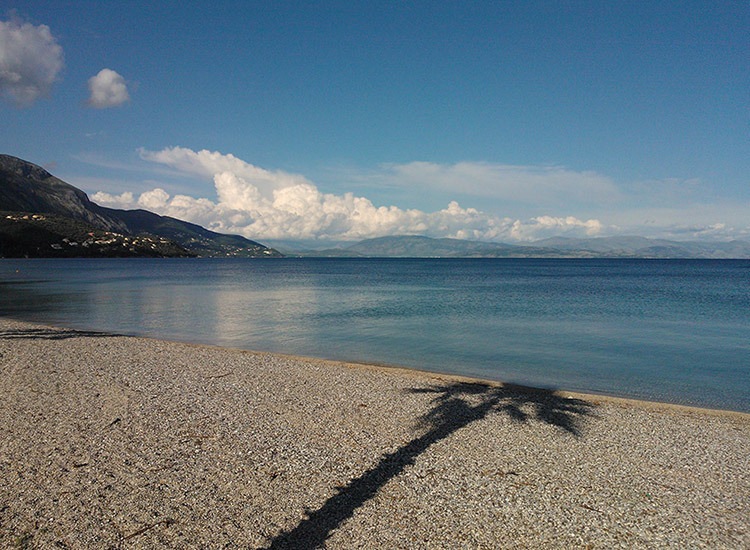 Ipsos beach is placed into a very large bay and the town is developed along the coast. The sea is not deep, it is good for small children and the water is extraordinary clean. If you have a boat consider that on the left side of this bay there’s a small pear. 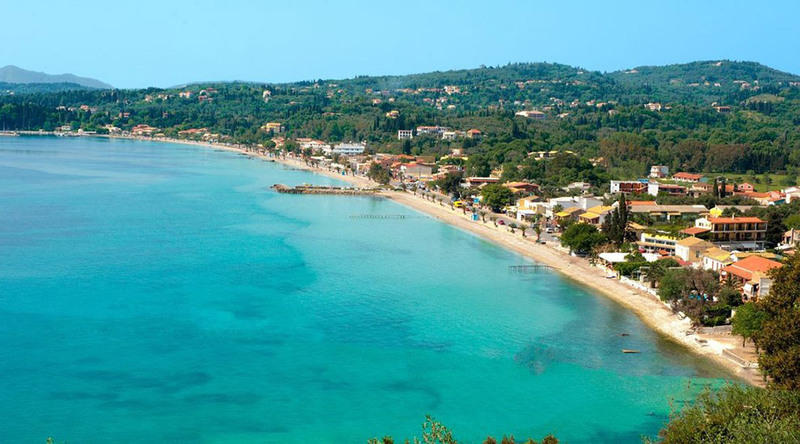 This is one of the several beaches in Corfu that obtained the Blue Flag for its clean water. The town of Barbati is developed close to Pantokratoras mountain and from here you have an unforgettable view over Corfù town and Albania. To reach the beach you have to take the street that from the coast road goes down to the sea. 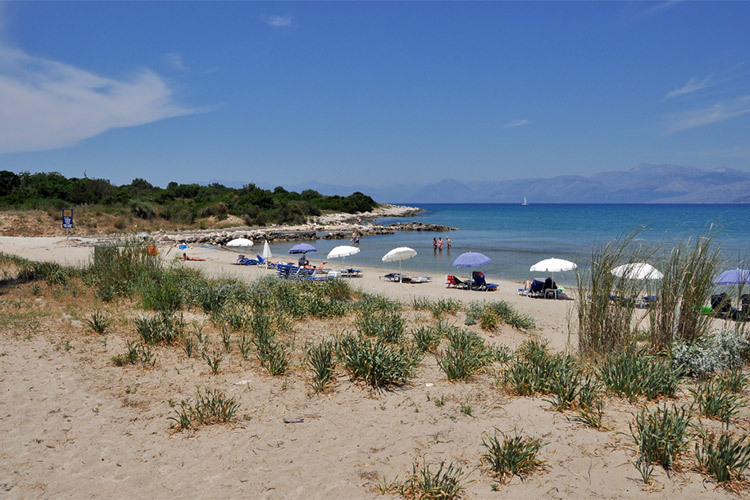 Behind the beach there is a green area where you can relax under the olive trees shadow. Nisaki is a small beach with a lovely clean water. On the left side of the beach there is an ideal area for snorkeling near the rocky coast and there are also others lonely small bays. 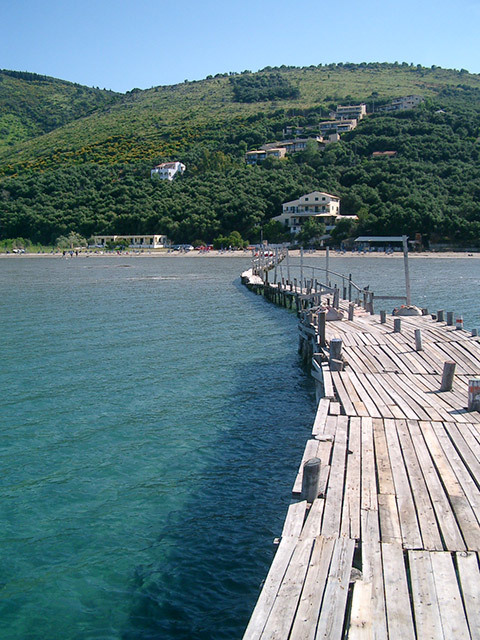 At an end of the beach there is also a pier from which you can dive into the sea. Kaminaki is a small bay and it is perfect if you like to discover this part of coast renting a boat. 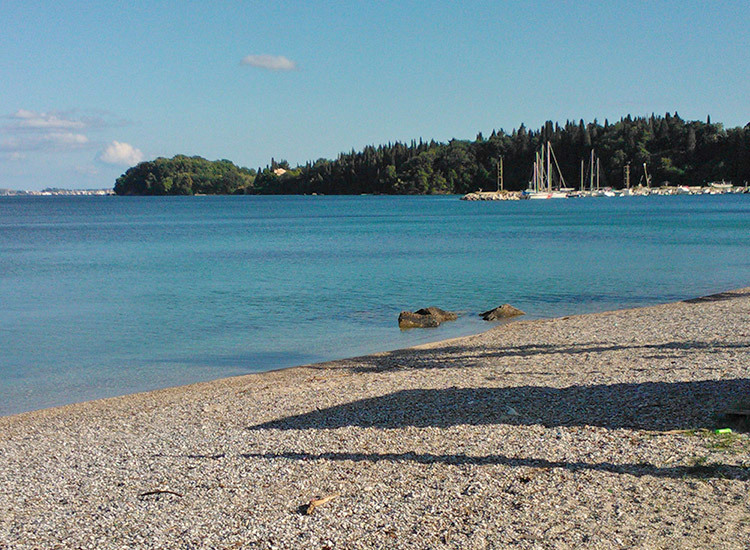 Kaminaki is not one of the most famous beaches in Corfu, therefore it’s very quiet also in the high season. 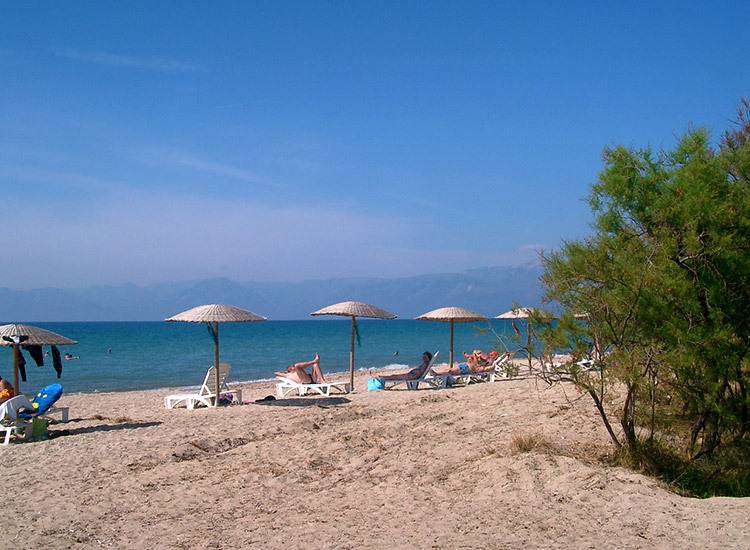 Agni is one of the several small beaches in this part of the coast. 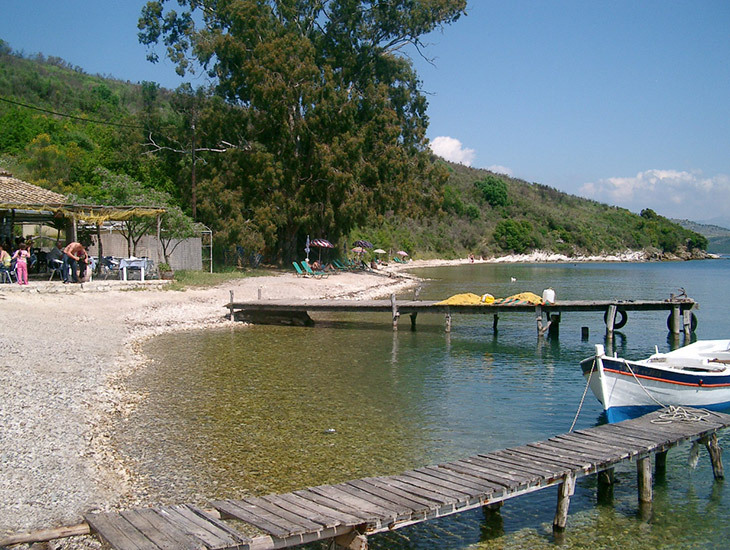 The bay is small with a pear where you can take a taxi boat to visit some close beaches. The sea is very clean and becomes deep quickly. 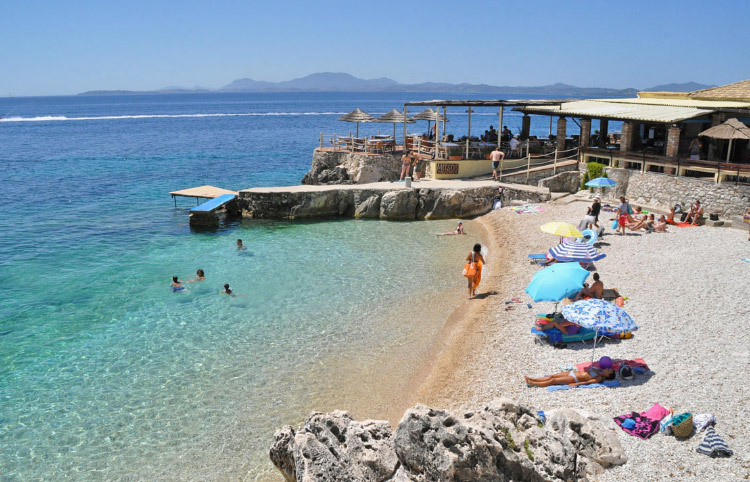 Along the beach and in the village of Kalami you can find restaurants and snack bars. 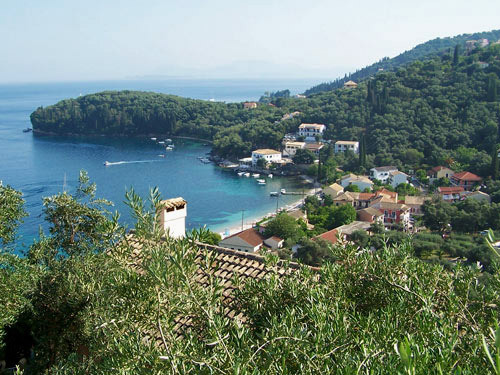 To reach Kalami you must descend from a hill with a marvellous view over the bay. 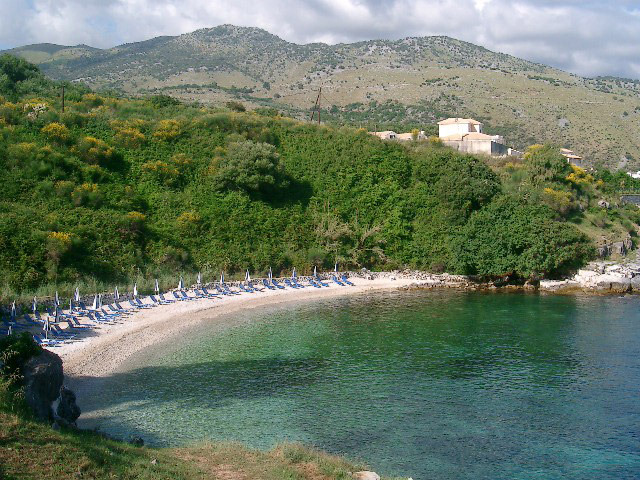 From here you can see the small village of Kalami, the beach and a beautiful olive trees forest. 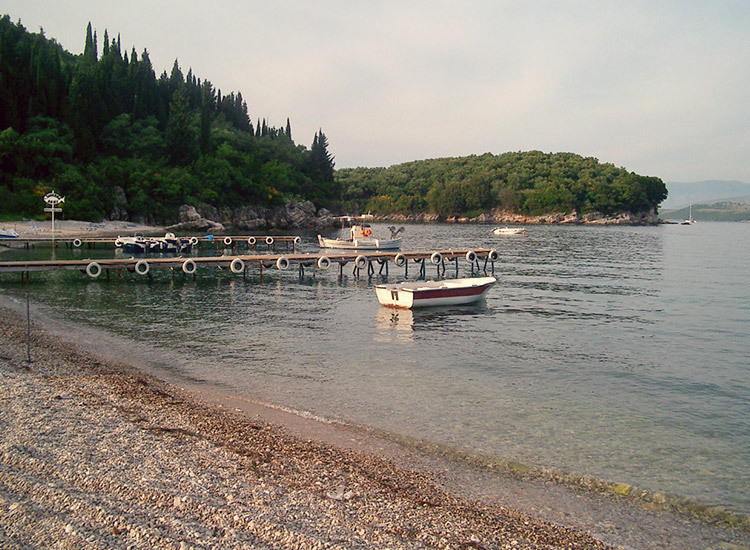 The bay, long as the village of Kalami, is the ideal place if you search for tranquility and a clean sea. To reach the beach is necessary to follow a lovely path through some olive trees and once arrived it seems to be in a wild place. 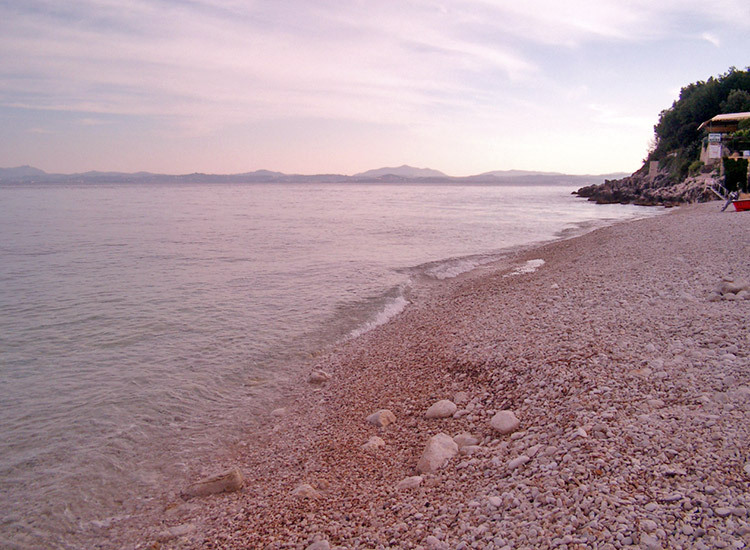 From here you can reach by swimming some desert and unspoilt small beaches. 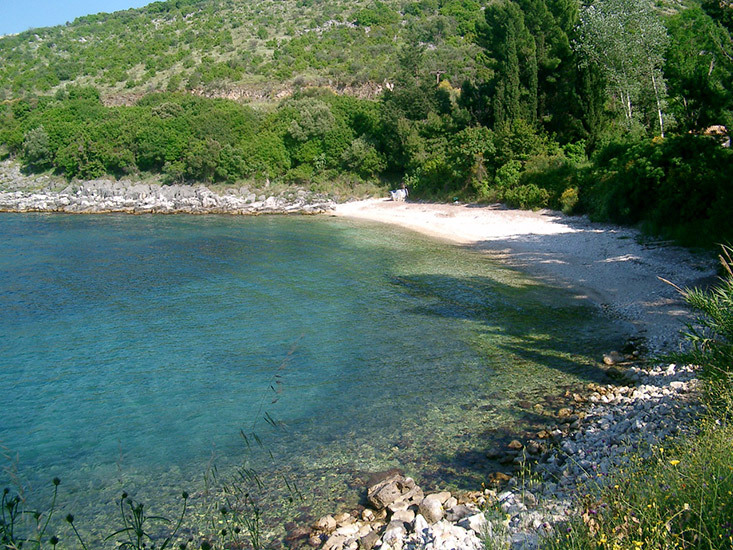 to reach Kerassia bay the road is long and pass through Aghios Stefanou village, but you will be rewarded by its beauty. Kerasia beach is very beautiful and for this reason is included into our top 10 section. 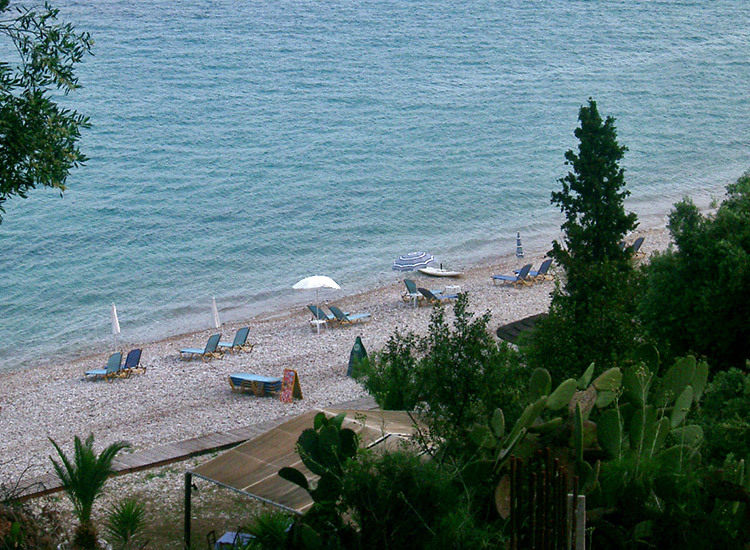 Aghios Stefanos is a small fishermen village developed along the beach. From the top this small bay is spectacular and it's a landing place perfect to leave the boat. The beach runs along the coast and it seems smaller than it is really. From both sides the beach continues and is not very wide but it is quite long. In this particular town there are a lot of tourists during the high season that arrive with boat tours. You can rent pedalos, kayak and small boats and there is also a sailing school. 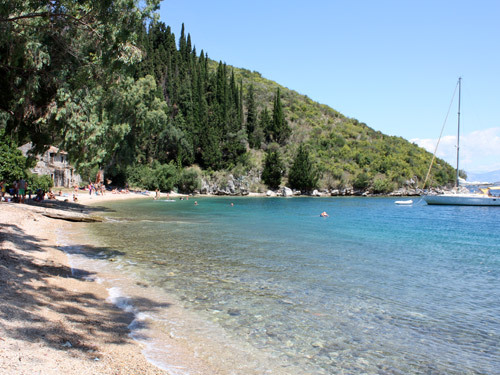 Avlaki is the first beach, coming from the town of Corfu, that is not in front of Albania. 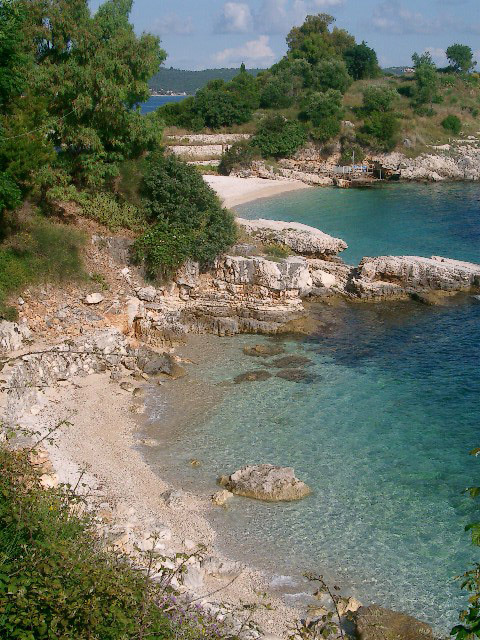 In fact the bay is oriented in the direction of Kassiopi, that is just 2 km far from here. 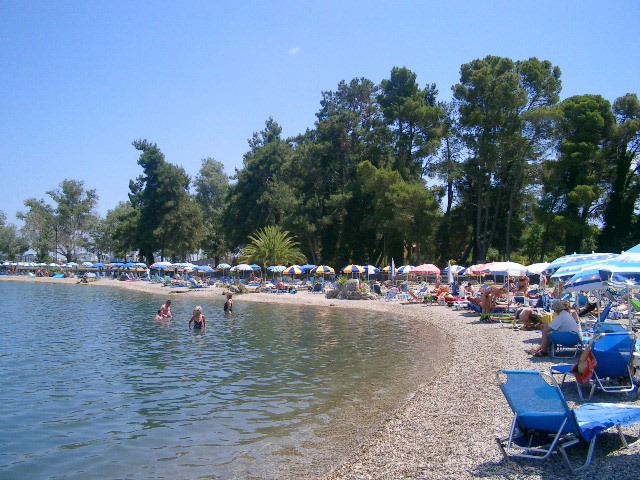 Avlaki bay is very big but never crowded. During the afternoon the wind raises up and this place becomes perfect for sailing lovers. 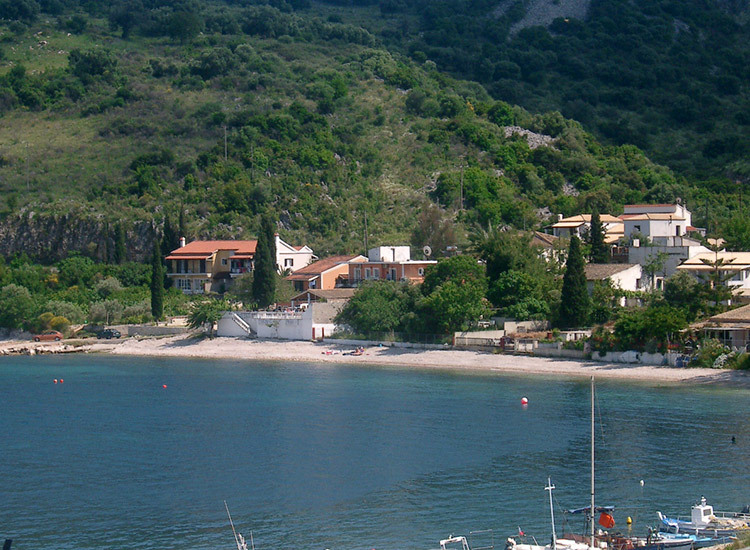 Kassiopi is one of the most tourist village in Corfù island. 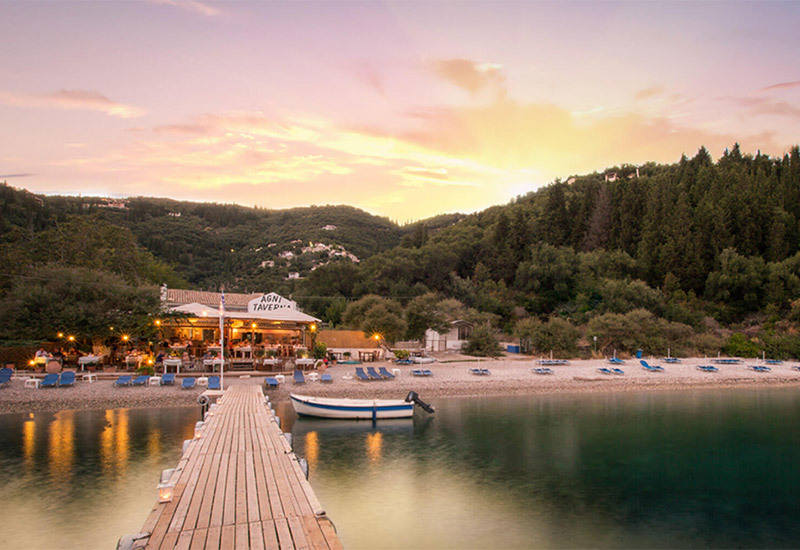 It was born as a fisherman village, but today it offers everything you can need during your stay in Kerkyra and two different beaches. 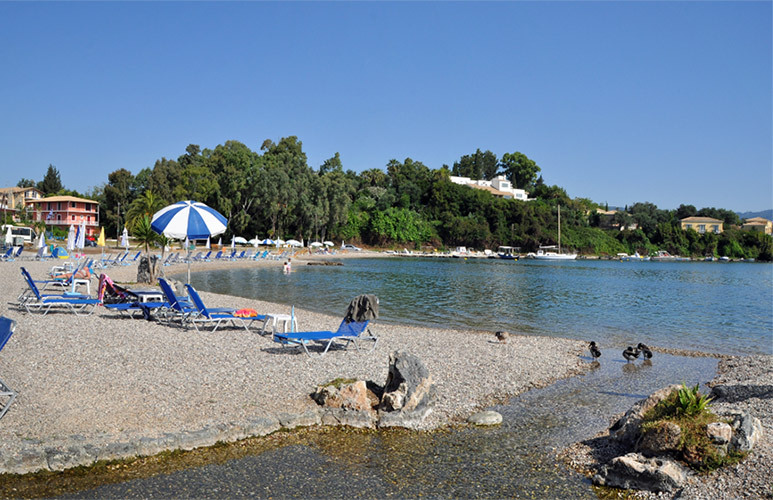 The first beach is on the left side of the town, it’s very wide and offers tourist facilities. Moreover the town that is just behind offers every kind of comfort. The second beach is behind the cape, is smaller but more particular. 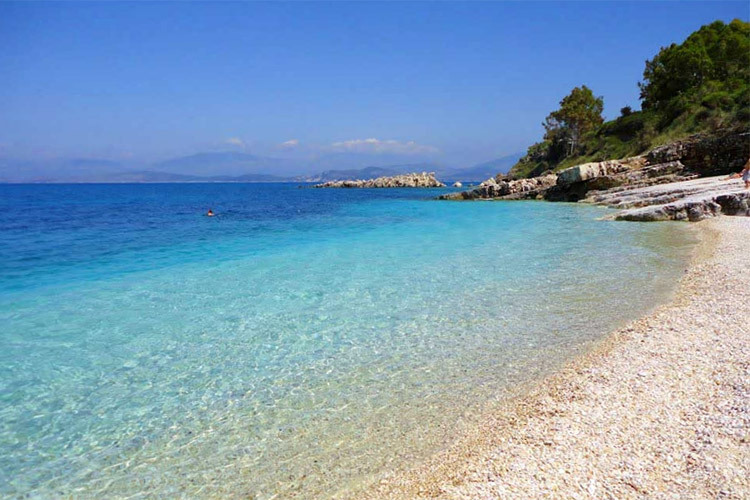 Not far from Kassiopi, Imerolia is a narrow strip of sand where you can relax under the sun. A small pear on your left gives great opportunity if you have a boat. 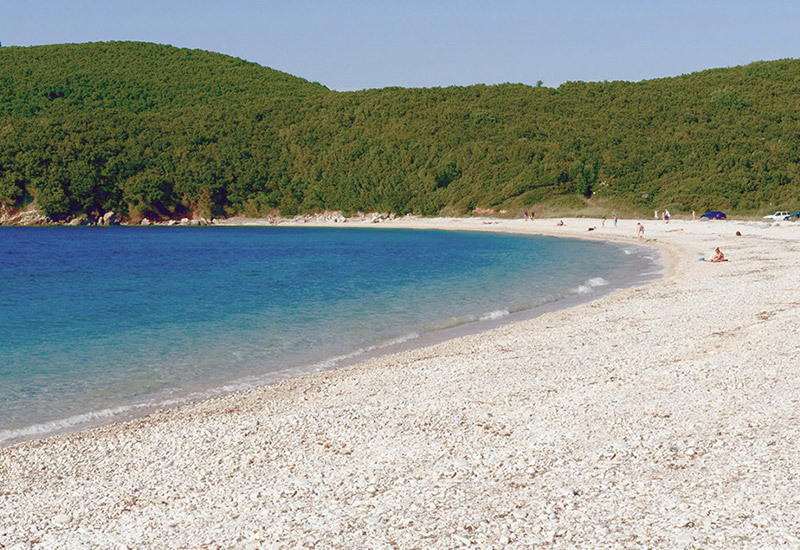 Syki beach is the perfect union between a blue sea and a lonely beach which is never crowded. 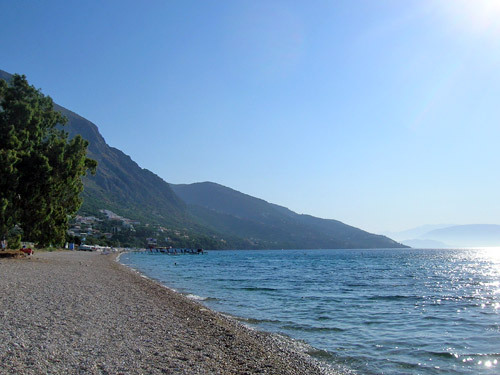 Syki bay is very easy to reach; it is along the coast road between Kassiopi and Acharavi. The sea that never becomes deep is the peculiarity of this beach. If you want to go easier where the sea is deeper, you can walk along the small pear. 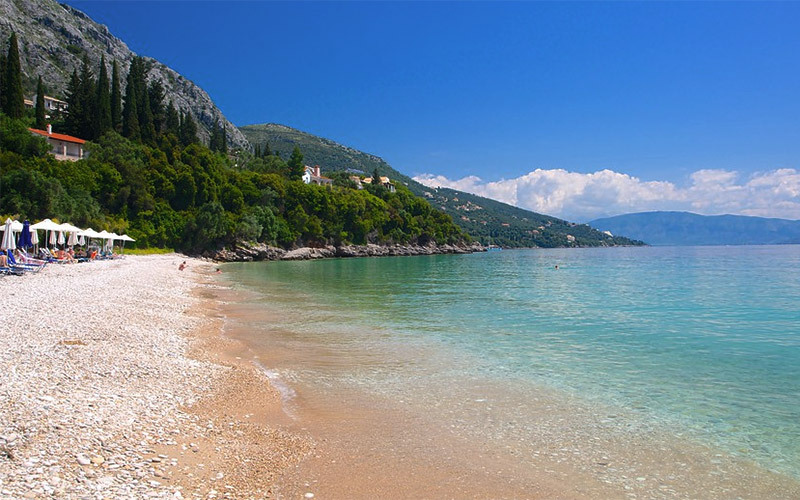 By walking and swimming in the sea you can reach a narrow strip of sand that comes up from the water. 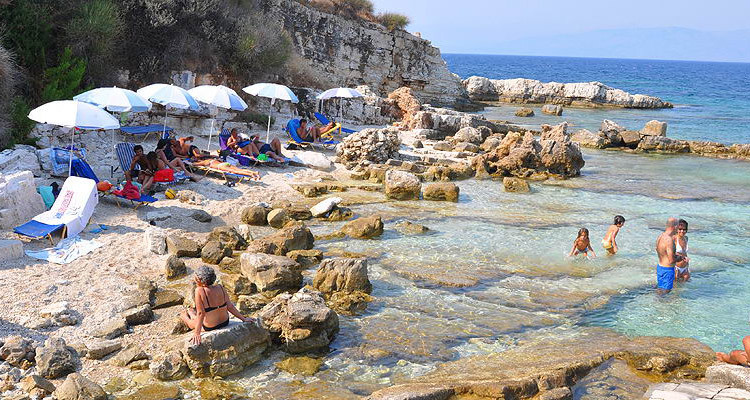 Aghios Spiridon is a calm beach, far from the coast road. Very close to the beach there’s a small lake called Andinioti behind of which you can find another small beach. 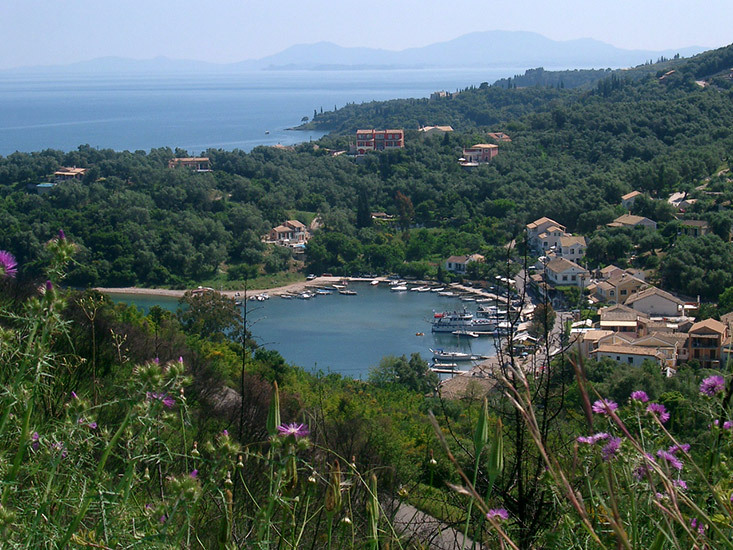 Almyros is the Northest beach of Corfu island. 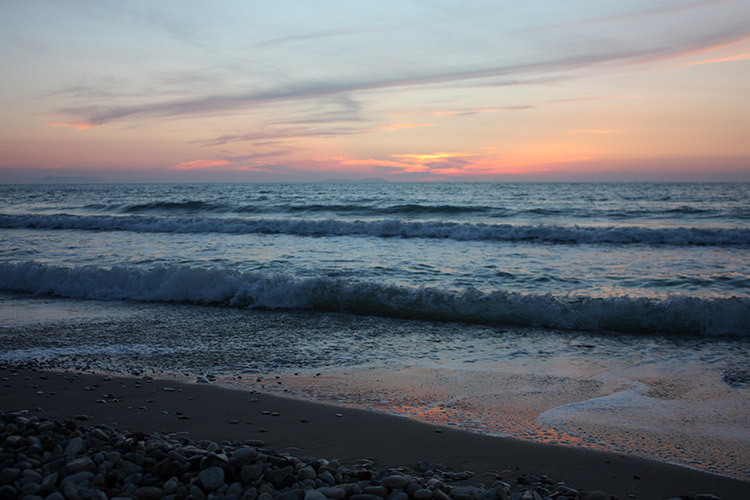 In front of you there is a nice view of Albanian coast, while behind you’ll be surrounded by the Mediterranean nature. From the main coast road there are different small streets that will bring you towards this beach. Akaravi bay is a very calm place since it is located far from the main road and the low sea level is perfect for children.